Hear from the co-founder and CEO of Remote Year about how they're creating a more peaceful and productive world one group of nomads at a time. In the fleet of available nomadic travel programs Remote Year is arguably the aircraft carrier. What’s it like to be at the helm? Find out today in our conversation with Greg Caplan, CEO of the company that aims to create a more peaceful, productive world by ushering scores of knowledge workers into nomadic travel each month. Greg had a unique upbringing which gave him early close, familial exposure to youth from many different cultures. Years later he and his co-founder Sam Pessin tried an audacious experiment posting an idea to Reddit that would invite a group of seventy knowledge workers to take their jobs on the road and travel the world while working abroad. The post went viral garnering 50,000 applicants for this experiment and Remote Year was born. In this interview Greg talks about the origin story of Remote Year, their values and mission, what RY is doing to promote diversity and inclusion amongst both participants and employees, the future of their “Citizen Program,” the meaning of Positive Impact, an analysis of some of the macro trends in the space, ammo for employees seeking to lobby their employer to allow this type of remote work and much more. Greg is a high-energy CEO with vision and passion for their mission. I hope you enjoy our conversation. 0:01:47	What is Remote Year? 0:02:40	How have the 4 month programs been received? 0:04:00	Can you take us back to the beginning and talk about the origin story of RY? 0:09:04	Did you envision at that point that it could be as big as it is today? 0:10:08	What value does RY represent to someone who could travel the world on his or her own? 0:12:36	When you talk about RY as a platform what do you mean? 0:16:40	Can you talk about what Positive Impact is in the context of RY? 0:19:18	Can you talk about the mission and values of RY? 0:21:30	How big do you think this space can become? 0:24:30	What are you seeing in terms of receptiveness of employers to allow employees to go on RY? 0:28:22	What kind of ammo can you give an employee to make the case for RY to his/her employer? 0:32:09	Where do you see Remote Year fitting into the landscape of competitors? 0:33:53	Who should not do RY? 0:36:11	How as a CEO do you decide what to do every day/week/year? 0:38:12	What are the goals you’re executing towards right now? 0:39:39	What is RY doing to promote diversity within participants? 0:42:48	Do you guys actively tune ads to promote diversity of applicants based on how groups are forming? 0:46:48	What do you see the Citizen program becoming? 0:49:38	Is there any way to lower the bar further in making the RY experience even more accessible? 0:53:04	What do you read or listen to regularly? 0:54:20	What’s your best travel hack? 0:55:43	Any piece of gear you couldn’t live without? 0:56:42	What can someone do who wants to work for RY? 0:57:10	How does someone engage who wants to participate? Speaker 1 – 00:00:12 – Nomad, nomad, nomad podcast. Sean Tierney – 00:00:20 – What happens when you post an experimental idea to Reddit, that solicits people that take their job on the road for a year and it winds up producing 50,000 applications. The answer is you end up with a $12 million funded, 150 employee startup. That’s changing the game when it comes to ushering more people into the nomadic lifestyle. Today we’re talking with Greg Caplan, CEO and Co, founder of remote year. I had the good fortune to meet Greg a couple times while I was on my remote year trip. And I can tell you use a super neat guy with a serious passion for this stuff. And I think that will become very evident shortly in our interview. So in this interview we talk about origins of remote year, uh, the ammo that you can use with your own employer if you’re trying to convince your employer to let you go abroad and do this. How does, how a CEO decides what to do everyday, where remote you’re fits in in the landscape of all the different travel options that are out there and what the future of the remote year citizen program looks like and much, much more so. Greg is a very smart, very energetic, neat guy and I know you’re going to enjoy this interview. So without further ado, here is my conversation with Greg Caplan of remote year. Sean Tierney – 00:01:30 – Nomad Podcast is supported in part by no math prep and online academy that teaches you everything you need to know to take your job on the road and crush it abroad. Enroll today at nomadprep.com/podcast and get your first four days of training completely free. No prep. Take your job on the road and take on the world. Okay, Greg Caplan. Welcome to nomad podcast. Thank you for taking the time. Greg Caplan – 00:01:52 – Thanks for having me. Excited to be here. Greg Caplan – 00:02:01 – exactly. Sean Tierney – 00:02:02 – What is remote year? Assuming someone’s listening and they just have no idea what it is, how do you explain remote year to someone? Greg Caplan – 00:02:08 – Sure. A remote year is a platform for folks who have the opportunity to work remotely to travel the world as part of a community. Um, so we have groups all over the world, um, and we have two core products. We have a four month experience and a 12 month experience. And in the 12 month experience with 12 places for one month each month, the have four places for warm lead to teach. Sean Tierney – 00:02:29 – Cool. And how is like, so when, when I did it, I was in the Darien group. We were, I think we left in May of 2016. It was still just remote year. There was not a remote for months. Um, how has the four month programs, how has that panned out so far? Greg Caplan – 00:02:45 – Sure. Uh, so we, as an organization, we want to try to create lots of different experiences for folks that don’t match what they’re looking for, that are connected to our mission. Our mission is to make the world more peaceful, productive place, uh, by fostering authentic human connections amongst diverse people and cultures. Um, and we think that, uh, the four month experiences is really important, especially for some folks who are 12 month is not achievable or attainable and that’s all different reasons. A lot of people, you know, professionally, um, can’t stomach that long of a commitment. Um, so we’ve created a form of experience for folks to be a little bit more inclusive of people with different life situations. Um, so we’ll continue to create new products and experiences to expose people to a diverse experiences across the world as much as we possibly can as long as our mission and, you know, includes more folks in, uh, our experience. Sean Tierney – 00:03:43 – Yeah, that’s awesome. Like, kudos to you for lowering the bar of accessibility because I think there’s something to be said like there’s, there’s got to be just a sliver of people who can actually commit to a year, but then there’s gotta be a whole lot more people who can at least get a taste of it with four months. Greg Caplan – 00:03:56 – Exactly. Sean Tierney – 00:03:58 – Very cool. Um, well, can you take us back like, so Trevor Gearhart, whom you know, well, uh, was actually my very first guest on the podcast and I got to hear his perspective of showing up in Prague on this thing where it was just thrown out on Reddit. You didn’t even know if it was a real thing and like he and Mark Brown her in a cab together, you’re going like, did we just give our money to like a total hoax and like are we somewhere in Prague right now where there’s no real thing like take us back to those days and, and tell us what that was like doing that first program and how did that go? Like what, what was that like? Greg Caplan – 00:04:27 – Sure. So I’ll take you back even further. I’m not my personal story, you know, I grew up in the suburbs of Chicago so I had a fairly, a cookie cutter upbringing from a US standards. Um, and when I was five, my parents met this guy Salin Butler and he was a Kiwi from New Zealand in his early twenties and needed a place to stay for a couple of weeks. And they invited him to stay with us for a couple of weeks and we really hit it off, so a couple of weeks actually turned into over five years and he became like a brother to me. Um, and we had such an incredible experience bring him into our home, learning from him, getting close with him that, uh, we continue to do more of that. Actually, when I say we, it was really my parents. Um, and next we had evan from South Africa and then Ben and Daniel, two brothers from Australia and then mention a new safe from North Africa. And then Aaron Avery from Russia. So growing up we had this sort of model un around the dinner table every night in our little culdesac and suburbia. Greg Caplan – 00:05:25 – So that really opened my mind to global perspectives. But more importantly, lots of really strong mark on me around community. So I just love being with big groups of people all the time. And so whenever I do anything, I don’t really care what I’m doing, but I care what I’m doing and making sure I’m with a big group of people. So to fast forward a little bit, um, after we sold the last company I was working on Groupon, I was working Groupon for awhile, so I was, you know, nine to five, a super sort of traditional work environment, you know, the open office environment, techie kind of stuff, but more traditional office environment. And I just felt stuck. Um, I didn’t sort of like that work style and we’re pattern and so I went out and I found remote work, um, that I could do from anywhere and I wanted to go travel and see the world. But again, whenever I do anything, I start with who. So, uh, at dinner one night I asked my group of best friends, do you guys want to get remote jobs and go travel together? 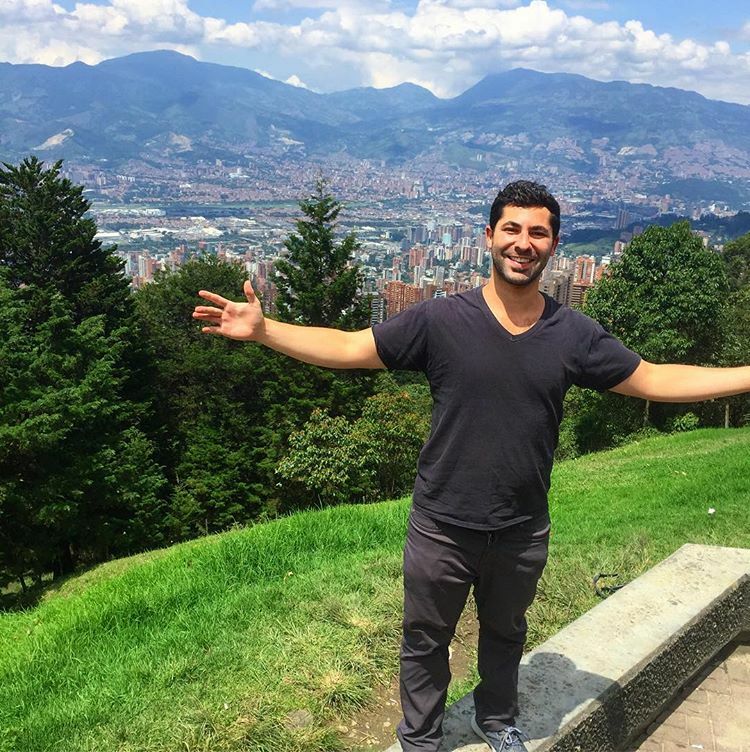 Greg Caplan – 00:07:22 – that’s when I was talking to my roommate at the time, Sam Peskin and said, there’s something bigger here than just finding a group of friends that travel with. And let’s, let’s try to formalize this into something a little bit more structured. Um, and that’s really where it’s sort of like the idea of remote you’re turning into more of an organization than it was just a ragtag group of friends kind of experiencing the world together. Um, so to fast forward to shoot the story about Trevor, you know, getting off the plane, you know, we, we spend a ton of time then over the next few months figuring out how this would work, where we go, what we would do, um, and who would we invite to join us. And uh, that culminated on June 1st 2015, uh, when the first group of remotes actually showed up in Prague. And that was such an emotional amazing day for all of us. Um, you know, the remotes and the small team that we had working on, it included. Um, so I was actually at the airport, um, and I was holding up a big remote year sign waiting for Trevor who was the first person to get off the plane. Greg Caplan – 00:08:23 – And you know, there was nothing to find. We had no idea what we were doing at all. And, you know, we’re just trying to figure out how can we make this thing work? It was a pretty audacious thing to put out there. Say, yeah, we’ll, we’ll figure out how to create a sustainable work at work and live experience across the world for a group of 70 people. And we set out to do it obviously. Um, you know, early on there was a lot of challenges in fulfilling on that promise. But, you know, all in all was an incredibly rewarding and amazing experience to share with the folks who are doing it. I’m at that first program. Greg Caplan – 00:09:14 – you know, early on it was clear that there was this groundswell of interest and excitement for what were doing. So I didn’t sort of think too much then and exactly what it could be or how it could evolve. But honestly from day one like this, this notion of, um, you know, working flexibly and experiencing the world. I’m struck a chord with lots of people and so I, I definitely understood that there were some big possibilities for what this thing can become, but you know, it’s humbling every day to see how quickly it’s actually unfolded in touch so many lives. Sean Tierney – 00:09:54 – Yeah, it seems like you guys got a, what they say you’re supposed to get, you know, figure it out, get that product market fit. And you clearly nailed it. Like there’s signal there, so double down and go after it once, you know that there’s demand. Greg Caplan – 00:10:06 – Totally. Sean Tierney – 00:10:06 – So for someone like we talked about this with Trevor actually, um, he could have done this on his own right, but he did it. So it’s, it’s interesting like you guys are like this catalyst for people that are on the fence, they could do it but aren’t gonna do it on their own. So you, uh, in your words, what value does this represent to someone who, who, who could go on their own but does it? Greg Caplan – 00:10:28 – Sure. And it was the same thing for me, right? I can go travel on my own, but for me, I’m all about community, right? That’s for me the most important thing and so that’s why I created remote year is because I want it to be with a group of people to share this experience together and I think that’s what differentiates us from doing this on your own right. We bring together an amazing group of people and you share this experience together and you know, if folks want to be on their own and do this on her own, that’s a great option for the people that, that works for. But for me it’s started from day one about it being all about the community and that’s what I think is so special about remote year and you know, I could turn back to you, you know, it was, it was your community a valuable part of the experience or do you think you would have preferred to do it on your own? Sean Tierney – 00:11:12 – Um, well, so I guess first off I wouldn’t have done it on my own. I looked at this and it was, you know, I was fully capable as well, but it’s just like a. I looked at the logistics and the like, there’s no way I can be productive and also plan on the travel and figure out where I’m sleeping that night. Um, so I didn’t do it on my own, but once I learned about it, I’m like, hell yeah, this is exactly what I want. Um, so yeah, no, the community I’d say like was probably the most underestimated thing. Like I, I had seen it more as solving that logistical problem and making it possible for me to do this. And then just like, oh, community, that will be a nice benefit. But I’d say like the further we got into remote year, it became clear that like the community was like 95% of what the value was. Greg Caplan – 00:11:54 – totally. Totally. I think in your experience is probably similar to a lot of folks who, you know, I actually came and started this for the community, but I think a lot of people, you’re right come for the logistics and the global travel experience. Um, but like you said, lots and lots of folks. I like my community is the most important part of it at the end. And that for me makes so much sense and I think maybe for other people they’re not as sort of in touch with them power and importance of having community like that. Um, but once they’re exposed to it just can never turn it away. Sean Tierney – 00:12:24 – Yeah. I mean I think of it almost like it’s like sugar coated in these things that people think they want, but the real nutrition of it is actually that the community thing that you didn’t even know you were missing and so you have it right. Greg Caplan – 00:12:35 – Totally. Sean Tierney – 00:12:35 – Um, you’ve talked about it, I think I’ve heard you talked about before is like a platform for self discovery and self exploration and growth and self expression. Can you talk a little bit about that? What do you mean by a platform? Greg Caplan – 00:12:47 – Yeah. So platform is an interesting word that lots of people throw around. But I think, you know, ultimately we want to provide the foundation for folks to have these experiences, right? We’re not going to hold your hand and pull you into the fire and say, go do this. We’re going to create the environment that you’re able to do that from. And so I think, you know, there’s a lot of different components of what make that up, right? You know, having really strong, high quality workspaces, having really consistent, um, pleasant to be in accommodations, having a really nice travel experiences, great events and activities, um, through our tracks. But, uh, you know, I think all that is really a platform for folks to sit on top of and then have a transformative life experience. Um, and hopefully they grow a lot, both personally and professionally right now. Personally for me, I had some experience traveling, but until remote you’re nothing even close to anything like this. Greg Caplan – 00:13:47 – Right? And for me, I just experienced so much growth by living in different countries for extended periods of time all over the world, exposing me to all different kinds of issues and challenges and differences and perspectives really helped me to sort of understand my voice and my expression and what’s important to me. Um, so I think hopefully this platform is a place for other folks to experience those differences and understand what they resonate with. And what they think is important and helps them sort of express themselves both personally and professionally better by, by understanding those different experiences. Sean Tierney – 00:14:31 – Yeah, I think absolutely. I think it also, at least from my experience in our group, like the, the things that were most fun, where the things that were actually generated by the people in the group. So it was truly like, here’s your base and people are taking advantage of it to go to a monkey sanctuary in Cordova and like do a volunteer project and you know, develop some like game night and just go do it, you know, so it truly is like giving people the, the launch launchpad to be able to then build whatever they’re thinking of building on top of it and having that unique experience. Greg Caplan – 00:15:02 – Totally. Exactly. And that’s why we like the word platform, right? Because we’re, we’re not, you’re saying we can do everything and we’re gonna, you know, pull you through this whole thing and your life’s going to change where we’re a platform for people to use however they want to and get whatever they want out of it. Right. And there’s different things that different people want and that’s okay. We appreciate and actually love that diversity. Sean Tierney – 00:15:25 – Yeah. There’s a, there’s a guy I really respect Marc Andreessen, I’m sure you know, I’m Andreessen Horowitz. I think he calls a platform not a platform until someone uses it in ways that you couldn’t have fathomed when you built it. Right. And it’s like you see this happening now with like uh, you know, in slack people self organizing and doing things that you just had no idea that they would organize that way, you know, trips, people meeting up the citizen program which we can talk about in a bit, you know, things that I would never have imagined going into this that are just kind of like emergent behavior now that you have this platform is super interesting. Greg Caplan – 00:15:56 – Totally. One of the craziest ones is like, people are organizing in cities across the world. And like I even understand the power of that until, I don’t know, maybe a year, year and a half ago, I was in New York City and just popped into the, you know, in a citizens in remote in New York City. And went to a dinner that they were just organizing and it was just so powerful to experience like the power of that community coming together and just creating experiences there is not even connected to promote your is at all. And I don’t know, the power of that is just so cool. Sean Tierney – 00:16:31 – Yeah. Um, I think it’s amazing. The positive impact stuff for people that aren’t familiar with this, can you talk about positive impact or just. I’ll let you explain it. Greg Caplan – 00:16:40 – Sure, positive impact is huge. Part of what we do and particularly we focused on it, um, in every city that we’re in because we like to be good members of the communities that welcome us into their communities every month. And so what we have done with positive impact is we’ve created partnerships. We try to do it with one specific group in every city that we’re in. And then we have this sort of ongoing relationship with them. Um, you know, it is very difficult in a lot of ways to actually be valuable, um, for groups in terms of positive impact when you’re there for a month. But if you string together the groups that we have over a longer period of time and coordinate those efforts as ways to make a real lasting impact and for us it’s priority not to be prescriptive for these communities are and what they need. We like to listen and understand from people in the community what would be helpful for us to get involved in. And so we don’t have one specific way to get involved everywhere. Greg Caplan – 00:17:40 – They’re very different in each city that we are visiting. Um, and that’s because we want to make sure that what we’re doing actually is, uh, focused on the issues that the people there have specifically. So you’ll have various different opportunities throughout the four months or 12 months to give back, but it’s going to look very different because it’s going to be more connected locally to things that they need. And that I think is a really important part of the way we want to get back specifically in those cities. But I think at a higher level, um, we’re very focused on our mission, right? And the mission is making the world a more peaceful and productive place. And we’re very specific about peaceful and productive because we think when there’s empathy amongst diverse people, um, not only is their piece, but there’s opportunities to trade and make the world more productive and I think that at a macro scale, exposing more and more people to these types of experiences, I’m also these lasting, positive impact on the world very differently than sort of, you know, helping out with a animal shelter or helping out with a food bank. Um, but I think at a macro scale has a meaningful impact on the world. Sean Tierney – 00:18:47 – Nice. Yeah. And so you’re not like swooping in and imposing your idea of what positive impact is on the place you’re going in and seeing what’s there and then just working with it and trying to, you know, letting people connect them to as they can do. Right. Greg Caplan – 00:19:00 – Totally. And so we do have folks on our team who are focused on that, but we also have a lot of amazing people in our community, in the nation who want to get back in specific ways and learn about opportunities to give back. And we try our best also to support those. Whenever we can. Sean Tierney – 00:19:15 – Awesome. I’m going to read off from your values page, just the, the values here. So you have a u value work, life flexibility, community empathy, being present, global perspective and dreaming. Can you maybe just talk about those a bit? Greg Caplan – 00:19:30 – Sure. So we spent a lot of time thinking about our mission and the values that we believe into the ladder up to that mission. Some of them are, you know, a little bit more obvious like work life flexibility. Like is it important to almost everything that we do, community, um, is obviously a big part of what we’re all about, right? Know we love bringing the right people together and celebrating them as an organization, as a community. Being present is a great one because it’s so easy to think about the future. Um, and we like to celebrate the now and being present in the moment, especially when you’re with other people. Valuing that moment with them is super important to us. Um, so we have, I mean, global perspective is again, a really, really critical to what we’re focused on and it’s somewhat obvious to us, but I think for other folks may not be as important. So we wanted to call that out and bring that forward. Greg Caplan – 00:20:29 – And then, you know, the last value of dreaming is actually my personal favorite. I’m creating. We believe that means creating the optimistic future that you envision. Um, and what that is, is basically thinking about the way you want the world to work. And actually the way we said specifically dreaming is create, creating the optimistic world that you envision doing something about making sure that that dream that you have comes to reality. So that’s a, you know, quarter everything that we do because we’re pretty audacious in what we are trying to accomplish at remote year. And uh, we have some pretty lofty goals around the impact we can make on the world. And that’s why we choose to include dreaming in our core values. Sean Tierney – 00:21:15 – I mean, I think just the fact that you have 10 groups at any given moment, roving around the world is a pretty good testament to like living your values. They’re like dreaming big and doing insanely big thing. So. Greg Caplan – 00:21:27 – Totally. Sean Tierney – 00:21:28 – So I’m going to switch gears here and talk like business stuff, like in terms of how big you think this can be. I was looking at like stats and I noticed we work, uh, which are, they’re an investor, right? Or are they involved? Sean Tierney – 00:21:47 – cool. So they’ve raised some stupid amount of money. I want their crunchbase says $9 billion, which I don’t even know how that’s possible, but insanely large market cap. It at least suggested by that investment that you guys raised a pretty large series, a $12 million round, right? So clearly you think this is a huge space and it seems to be so far validated by what we see in the market. How big do you think this is going to be? Is like, is the world moving to remote work or what can we expect to see in the next couple of years in your opinion? Greg Caplan – 00:22:22 – Yeah, well, I think there’s two macro trends, right? The first macro trend is that work is fundamentally changing and you see the technology sort of enabling that, right? Um, the tools and processes, you know, productivity moving to the cloud, you could do great work from anywhere and communications, digital, right? We’re able to do this across the world. I’m very seamlessly with low latency so this is now possible based on the tools, but I think culturally I’m more and more organizations are getting comfortable with the idea that you don’t need everyone together in one room. It’s actually very difficult and costly and challenging to require everyone to be in the same room in order to be on the same team. Um, so I think that this macro trend around work becoming more flexible is happening meaningfully and more and more jobs are able to be done from anywhere. And you pair that with the fact that we’re more people value having global experience and you know, looking back, it didn’t use to be a top priority than a lot of people had. Greg Caplan – 00:23:22 – Um, and you’re seeing it’s even more and more. There’s lots of different ways to look at that, right? You know, people spending more of their discretionary income on experiences rather than purchasing things. You see the global travel market growing at exponential rates, which is crazy to see because of how big it already is. So I think you combine the fact that work can be done from anywhere and the p, the, the, the value more and more folks are putting on hat and global experience and you marry them together. And this category of work, travel programs I think has an opportunity to be really, really massive. And I think that we’re going to get to a world where it becomes much more normal to have this experience. Um, at some point in your career. And I think that we’re going to. I don’t know what percentage of people eventually will do that, but I think it’s going to be a very meaningful part of the total population that will have this experience at some point. Sean Tierney – 00:24:17 – And so you’re seeing this driven by employees, these macro trends that you’re talking about with, you know, obviously the facilitation of it through these technologies and then the desire from millennials in the next coming generation that values that experiences. How are you seeing it from the employer perspective? Are they, are they embracing it or are they putting up with it because they know they have to. And what do you say to the, the, the employer that grudgingly is saying like, no we don’t. We’re not going to allow remote. Greg Caplan – 00:24:45 – Yeah, I think there’s, there’s this new crop of services that are emerging that are sort of a bottoms up adoption cycle right within the organization. And so if you think back to, I don’t know if you’re familiar with Amazon web services, but basically is the quintessential cloud computing platform. Right? And the way that AWS worked was if you were to go to a CIO, you know, 10 years ago and say, Hey, get rid of all your servers and migrate all of your, uh, infrastructure in the cloud, it’s a, there’s no way I would ever do that. There’s just no chance. And what ended up happening was you’d have some developer build some skunkworks project, just throw it onto AWS and, you know, didn’t really ask for permission, but like kind of just made it happen. Um, and then once that happened, the organization started to build some familiarity with it to have some experience with it. And then next thing you know, like a new application they were working on that was a little bit more formal. Maybe we’d have AWS. Greg Caplan – 00:26:47 – or I said, wow, lots of people are using this, Brittany, these pro features, so we’re going to actually embrace it across the org. But it really was a bottoms up type of thing. And I think the things that do that are really consumer focused, right? Pro-sumer focused on solving problems for the individual, the organization rather than for the organization as a whole. And that’s kind of how we’re thinking about things for remote year. Um, we’re, we’re right now at the early days where people are getting permission to do this. Um, you know, lots of organizations are somewhat progressing about it, but I think over time more and more people will get acceptance for that. Um, and the organizations will see that is a great opportunity for them as an organization beyond just the individuals wants to needs. Um, and that’s when I think we’ll start to get more mainstream adoption across enterprises. Sean Tierney – 00:27:36 – It reminds me a lot of the trajectory of like, antivirus, it was almost a similar infiltration where it would be adopted at the level of the users and then by the time at which is like, Oh crap or entire organization is using these buyers products. We probably should have some formal policy, you know, and actually buy from the company some. Greg Caplan – 00:27:53 – Exactly. Exactly. And you know, we definitely have organizations from tops down coming to us and wanting to partner and use this in certain ways. Um, but, but I think that in the way that this will unfold in the future is going to be much more from that, that bottoms up type of mechanism. Sean Tierney – 00:28:11 – So what kind of Ammo, if someone’s listening and they’re out an employer and they want to do this, but their employer is not okay with it, what kind of Ammo can you give that person to make the case, you know, is there a results or science or anything that you can point to that says, Hey, this is a good thing and here’s why. Greg Caplan – 00:29:30 – I believe you develop really, really great skills in multiple different things, you know, leadership, comfort with change and decision making, global perspective, innovation and entrepreneurship. So I think people grow a lot through this and you know, organizations thinking about developing their talent and leaders of the future. I’m remote year is a great way to supplement that. Sean Tierney – 00:29:52 – Cool. And it seems like at some point there will be, it will be the norm enough where you guys could almost get to the point where it’s like, oh, you guys don’t. Oh, you’re not a remote, you’re a certified like, oh, I’m going to go to this other company that is, you know, like, it seems like it could become the standard. Uh, I dunno, I can envision that being a thing where, you know, it’s just like you guys are kind of the conduit for offering this type of experience too. Greg Caplan – 00:30:15 – Totally. I think it’s going to be part of the suite of benefits, right? You know, there’s some folks who are looking at family planning and you know, to ask very pointed questions to perspective employers. What is your maternity leave policy, right? For other folks who are thinking about family planning at the moment, maybe they’d ask about different suite of benefits. And you know, one of those that historically they’ve asked a ton about is different types of international experience, right? If you think back to some of the most competitive, uh, employers, it’s consulting firms, right? And these guys come on university campuses, um, with a deck of 10 slides and three of those slides are international experience. It’s externships, it’s transfers, um, and it’s a MBA Grad school experience. And so they, they come out there and they pitched these three things that I think are very similar in a lot of ways to what remote year is, um, and only the top tier employers that are employing the top one or point one percent are able to offer those. Greg Caplan – 00:31:16 – But I think remote year is a much more connected experience to what people are actually looking for. And the cost structure for an organization is much, much lower, right. It’s not $250,000 like an MBA and you lose out on the person for two years, but you know, $27,000 for a 12 month program and you still get the productive employee for the year. So I think, um, you know, thinking about it with that regard, you’ll, I think we’ll see a lot more organizations adopt these types of benefits for folks, um, in the future. Sean Tierney – 00:31:49 – Yeah. But what’s, what’s a sweetener and uh, uh, you know, a special deal today I think could just become table stakes down the road and just be expected at some point were kind of the dominoes all fall at that point, you know. Greg Caplan – 00:32:00 – Totally. I think that that’s definitely possible. Um, we’ll see. Yeah. I hope the world goes there. Sean Tierney – 00:32:07 – I’m in the landscape like, so when you guys started, I don’t know that there was anyone else or maybe there was one or two other like tinkering around with it, but there seems to be like a proliferation of more, not copycat, but you know, there’s more people doing this. Can you talk about that landscape in terms of where you see remote year, like who is it appropriate for? Can it be occupied? Can there be multiple providers coexisting there and how does that all play together? Sure. Greg Caplan – 00:32:34 – Like I said, I think this is going to become a very common thing that people do. Um, so I’m not super focused on whether or not there’s other folks providing it, but I’m more focused on um, you know, how do we help people make this decision? Um, and you know, part of that is, you know, introducing the form of experience. We’ve been investing a ton recently in our employer solutions team, helping folks actually have that conversation with their employer, um, because that in a lot of ways is what’s preventing people who want to have this experience from having it. So we’re really focused more on like the reasons why people aren’t participating in this, this behavior. Then, you know, making sure that everyone that does do it, you know, join remote year because we see so much opportunity to change people’s lives and if the way that they do it is, you know, with someone else, that’s awesome. That’s great. We’re super excited for more people to do this because we’re very mission focused, right? And we want to create a much more peaceful and productive world through helping people have authentic human connections with diverse people and cultures. Right. And if they do that with us, amazing. If they do that with someone else, it’s still furthers our mission and that’s great. Sean Tierney – 00:33:42 – Yeah, definitely grow the pie. Don’t fight over the piece that’s on the table right now. Right? Greg Caplan – 00:33:46 – Exactly, exactly. Because I think we’re really now just scratching the surface of what this is going to become. Greg Caplan – 00:34:02 – For sure. So I’d say I’m probably once a week or more. I get requests from folks that say I have a family, can you provide a better experience for families? And eventually one day I would love to do that. I think that would be incredible. But I am absolutely not confident I could provide a great experience for children right now. Um, that’s a whole different level of responsibility. Um, and something that we have as an organization have decided, you know, we’re, we’re not going to take on that responsibility right now. We take it out a whole bunch of responsibility, um, to provide and an experience for people throughout a whole year. Um, and that’s, that’s a lot to take on and we are getting better at that every day. Um, so folks who have young children, I would love to help you guys, but right now that’s not something that we’re able to accommodate because I don’t think we could do a great job of that. So that’s just one example, but there’s a bunch of different examples of folks who one day we’d like to help having this experience, who right now we simply can. Sean Tierney – 00:35:04 – Sure. I actually, I have a buddy Scott who took his family in absence of a thing like remote year. He’s taking his family in New Mexico and now central and South America and you know, staying three months at a time and they’re moving into what an incredible upbringing, right? Like as a child to have that type of learning the language and getting experience all these cultures. I think it would be a, I can imagine a remote year scenario with kids that will be absolutely incredible. Those kids will grow up being best friends someday. Greg Caplan – 00:35:31 – Totally. I mean, listen, I’m engaged now. I will get married in the next couple months. Sean Tierney – 00:35:35 – Congrats, by the way. Sean Tierney – 00:36:07 – definitely. Um, so let me ask you this question. If your CEO as CEO every day, how do you decide like, what you guys should be focused on? Like how do you determine what you’re going to do that day or if you know that day, that week, that year, like what is guiding your, your choice of what to focus on? Greg Caplan – 00:36:26 – Totally. Um, it always starts with a mission. So we spend a lot of time developing our mission. I know I’ve mentioned it 100 times, so we really, really focused and passionate about our mission. Um, and so we created sort of a medium term plan, you know, the next couple of years as a leadership team and we were fine that every year and then every year we set concrete goals around what we’re going to do over the next 12 months to get closer to our mission. Right. And so every year we set concrete goals and we talk about them to the organization as much as possible because you have to reinforce those things over and over again. And then as an organization, every team in every individual sets goals that ladder up to that and those annual goals. And we have a whole idea of process where we work together to set those goals and those goals that are broken down into quarterly goals and monthly goals. And then on a weekly basis, every month, the organization thinks about, you know, what, what have you done towards your quarterly goals and tracking towards the metrics and KPIs that we’ve laid out to do that. Greg Caplan – 00:37:27 – Um, and you know, early on we didn’t use goal setting that strongly, but now we have about 150 folks on the team, um, and in order to align all those folks, you have to be very clear about what the longterm mission is and what the medium term goals are to achieve that mission. So we spent a ton of time on that. I’m aligning everyone at the organization together. Um, we could always do a better job because it’s a very challenging thing to do. Um, but many of the comms cadences that we have internal at remote year are connected to what is the goal and how are we tracking towards accomplishing that goal? Sean Tierney – 00:38:02 – What are your, if you, if you’re obviously sure what you’re willing to share, but like what is your biggest challenge in, in your next goal? What’s, where’s the landmark you guys are steering towards right now? Greg Caplan – 00:39:14 – but, you know, at a high level that’s, that’s one of our core goals. And another goal is moving our organization closer towards sustainability, um, because we want to last forever. And then, you know, another goal usually is connected to growth in some kind because, you know, our goal is pretty audacious. It’s making the world more peaceful and productive and the only way to do that is to touch more lives. Um, Um on annual basis. Sean Tierney – 00:39:38 – Um, so the, the inclusivity one is actually it’s perfect because that was, I threw some questions out in the nation slack and that one, three different people said, yeah, I would love to know this, this diversity question about both internally in terms of hiring for remote year, but also how do you, how do you diversify the folks that you’re pulling into, the participants have remote year. Are you able to share like what are your plans around that? Greg Caplan – 00:40:01 – Sure. Um, you know, diversity inclusion is a very, very complicated issue and something that we’ve been thinking about from day one, right? How do we have as much diversity as possible, um, programs and how do we have as much diversity as possible within our team? Um, and I think diversity is complicated because it’s a vague term, right? Like, what does diversity, do you create a recipe, a formula for we want X Y, Z, or do you say we just want to create an environment that is inclusive and has people from different perspectives? Um, you know, one, one vector of diversity we’ve thought a lot about is geographic diversity, where people from and trying to be as diverse as possible there. Um, we’ve definitely can always be more diverse, um, and, you know, make our experience more diverse. But, you know, the reality is that, you know, for people from Europe, we spent a lot of time in our programs in Europe and maybe you know, restricts the amount of diversity that we could have for folks who are from that region. Greg Caplan – 00:41:03 – Um, for instance, um, you know, there’s some difficulties on diversity based on the price that we charge in US dollars. And um, the first program that we had, we had a bunch of folks from Brazil who saw their currency devalued pretty rapidly during the first six months of our program. And that made diversity challenging, right? So it’s something we’ve thought about literally from day one and we thought about different vectors of diversity, um, but right now we actually made the very specific choice to focus on inclusion because we want to make sure that the environment that we have internally on our team is as inclusive as possible and we’re doing a series of inclusivity trainings throughout this quarter, um, to sort of do that and my guess and my hope and my belief is that if we have an inclusive culture on our team that will create a much more inclusive culture across our different programs. Um, so we want to start from the core and sort of build out from there. Greg Caplan – 00:42:02 – And over the next few quarters, uh, hopefully we’ll be seeing some initiatives around inclusivity that touch many different parts of, um, for motivation. So I think that could be a really great way to start. But you know, diversity is also something you have to be prescriptive about. You have to make sure that you’re taking the effort to open yourself up to a diverse slate of people for all different things. That means for roles that we have open, that means for our program placement team to select the right folks come on program. It’s a big, big issue and it’s hard to kind of wrap your head around, but we’re trying to take steps everyday to move into a more and more diverse culture and a more inclusive culture. Sean Tierney – 00:42:46 – And so did you guys actually like actively balanced? If you see like, oh this group is forming and it’s mostly folks of from this area, we’re going to tweak the Facebook ads and try to pull in folks from Brazil or whatever like do you. Are you guys actually tuning it to that level or if that’s not on the various. Sean Tierney – 00:44:12 – gender? I’m in, I’m here in Lisbon with Ohana and I don’t know if you’re aware, I’m sure you’re aware of, but like it’d be group has got to be about 85% women at this point, which is, it’s an interesting dynamic. It’s just different. Every group is totally different. Um, but it totally, those scenarios where it’s like one of those vectors that you didn’t account for. It’s like, oh, all of a sudden, oh wow, this is like a primarily female group. Greg Caplan – 00:44:34 – Totally. And I think gender is a big part. Um, we have a very big lgbtq community on our programs and our communities. Um, and we’re very thoughtful about that. We try to be thoughtful about that as well. We did a DNI survey, uh, I don’t know. We’ve got six to eight months ago where we just asked people about the different things they have. It couldn’t be anonymous or not that different attributes that they have, um, that we can think about diversity and how their experience has been with that. I’m just sort of get ourselves a baseline of what does it actually look like because we don’t know all that data across different things because it’s not always appropriate to ask it. So we’re, we’re definitely thinking about diversity and we think diversity is more comprehensive than just diversity. It’s diversity and inclusion, creating the right culture to include people that are diverse, but you know, we can always do better and you know, that is definitely a challenge that we have and we want to always do better, but there’s always more we can do. Sean Tierney – 00:45:36 – Yeah, well I’ll just throw out their staff. I know a lot of stuff on remote year. I’ve lived in Mexico City. He met a bunch of them and obviously from traveling you guys eat your own dog food in the sense of sending your staff out with the groups, which I think is phenomenal by the way, but you guys truly have some of the nicest people that you’ve hired, like such a fantastic group of people or whatever you’re doing hiring wise. Keep doing it because I think it’s a, it’s a winning formula. Whatever you’re doing. Greg Caplan – 00:46:04 – I appreciate that. We’re, we’re fortunate that we have incredible people who choose to work for us. Um, that’s, that’s a really great benefit that we have because I think it’s because not only do they love the lifestyle that, you know, we’re all about the work life flexibility, um, but more importantly they’re connected to our mission. And I think when you start with mission is where you get these amazing types of people and anyone listening who’s connected to any kind of company, every company should have a really strong, clear mission. Um, and if they don’t, they should spend some time thinking about why they are existing in the world and you should be able to come up with it because it’s in why you started or why you exist. And if you can articulate that mission well to people, um, I think you’ll find that you can get incredible folks joining for the right reasons. Sean Tierney – 00:46:53 – Absolutely. Cool. All right, well, just a few more questions here. Um, what do you see for Citizen Program Wise? What do you see the future of that looking like? There’s got to be, well a thousand people in that now or something close to that. Greg Caplan – 00:47:06 – Sure. So for anyone listening who doesn’t know what citizens are citizens are, when people finish a remote your program, they become citizens when we call the remote nation and we have a series of benefits for folks who are citizens. And honestly, it Kinda like you said, it looked like, um, what Marc Andreessen said about platforms. Um, we, we try to be responsive to people who are citizens to say you, what do you want from remote year? What can we do for you to make this experience the best possible? And it can be. Um, and the first thing people wanted to do was they wanted to continue joining communities. I’m on a month to month basis. And so we created that first we call that global access and basically we have a team who helps citizens if they want to join communities anywhere that they want to in the world. And we provide the similar type of experience to those folks, um, that, that wanted that our citizens. And so, you know, Sean is in Lisbon right now. At our workspace that we call a whip and he’s participating in a way, uh, with global access as a citizen. Greg Caplan – 00:48:06 – Um, so that’s been one way that we’ve been providing value to the folks once they finished the program and letting them participate in a way that works for them. Um, but I think that there’s some really interesting ways that we continue to, um, respond to the way citizens are acting now and provide, you know, those, those types of engagements in ways that are a little bit easier, a little bit more turnkey, you know, one thing that I think is really exciting is the way that people are self organizing in cities maybe where we don’t exist, you know, like Yorkers or San Francisco or London or Sydney and there’s lots of citizens there that are spending time together, planning activities and events. I think in the future we could potentially have somebody on our team in one of those markets planning activities and events and opportunities to engage with the community. Um, that can be really, really cool. Um, I personally have done that before and some of those cities and think it’s awesome and I love to try to build that for folks. Greg Caplan – 00:49:03 – Um, and another thing that citizens seem to love to do is meet up for a weekend or a week or a month together. Um, and we’re, we’re thinking about ways to provide opportunities to do that to folks who’ve been doing that a little bit on their own and looking to us to do that a little bit, but at a high level sort of creating these touch points for people to continue to engage with our community I think is really, really cool. And we want to learn about ways that people want to do it and you know, help build those for them twice. Sean Tierney – 00:49:33 – Yeah. I was going to ask you, in the way that you’ve lowered the bar and made it more accessible with the form of the program, do you envision, is there any way to even lower that bar further and offer something to people who aren’t even on a program like an APP or some way to engage where, you know any old person can use this remote year thing to have to get at some of the mission that you’re talking about? Greg Caplan – 00:49:53 – Yeah, definitely. I think there’s, we’re, we’re, we’re always thinking about ways. Um, we actually have a team now dedicated to that. I’m actually headed up by Jenna when, um, who’s thinking about different ways to provide a remote your experience of folks in different ways and you know, we want it to be founded in our mission, right? I’m making the world more peaceful, productive through authentic human connections. And historically, all of the ways that we’ve done that have been in person, right? Authentic connections has meant to us engaging in person. And I think there’s ways to do that in a much touch way than four months. I’m creating ways for people to engage. Maybe for an hour, um, I don’t know exactly how we’d do that and how it would connect into what we’re building today, but you know, in the future that’s definitely possible. Um, and you know, in person might not always be the way to do it. It could be, um, through ways to connect with folks digitally. Um, you know, there’s some really great companies building great digital connectivity. I’m like, you know, Facebook and Twitter and Zoom and Slack. Greg Caplan – 00:50:54 – My guess is we’re not going to do those anytime soon, but maybe there’s ways we can bring together some of these tools to create that kind of community and engagement and new and interesting ways, you know, the way that we do with nation slack, which is a great place for people to come together and connect in a digital way. There might be ways to bring community together, um, in cool ways in the future. But you know, we haven’t even started thinking about those yet, but it’s definitely something I would love to do at some point. Greg Caplan – 00:51:27 – anybody in Chicago, but when Sam and I started remote, your um, we were both in Chicago and we had kind of an address there that we used. That was actually my parents’ house. Now we have a little. We work in Denver and have some legal stuff there, but you know, we don’t really have like any kind of corporate headquarters, you know, that kind of construct is a little bit antiquated for us I think. But a lot of different things require it. Sean Tierney – 00:51:52 – Yeah. I was just gonna say the reason it made me think of it, uh, I discovered an app while we were on remote year and abused it, sense of. It’s brilliant. It’s called eat with, I don’t know if you’ve heard of it. It’s very much what you’re talking about. Like it creates these really interesting experiences around the meal being kind of that thing that brings you together, but you go and dine with a local in their kitchen and its strangers that come together to know each other. And it’s just kind of this magical, cool thing that I discovered and everyone I’ve been to, it’s been awesome. Greg Caplan – 00:52:22 – Totally, totally. They have a great platform and great experience. I’ve done those in probably five or six different cities. Um, it’s, it’s, it’s very much in line with what we’re trying to build. They take a very different tact on it, which is awesome and I like to use that as a, as a user. Um, but I think that’s the kind of thing that, you know, we’d like to do more of, you know, helping people break out of their everyday life and have experiences that are maybe different and push them a little bit into, um, a broader sense of empathy and understanding. Awesome. Sean Tierney – 00:52:57 – All right. For the last couple of questions, I ask us to let the same set of questions for everyone. So I’m going to switch switch gears here and go tactical and you. Cool. Is there anything that you read or listen to regularly? Anything that you find yourself coming back to a new source or a blog or podcast that you consume regularly? Greg Caplan – 00:53:13 – Sure. I love podcasts. I guess. I think it’s an incredible medium, um, and I want to learn about more podcasts. If anyone listening has suggestions, please let me know. Um, I listened to the daily a lot. I listened to how I built this by NPR, which is incredible. I get inspired by other people’s stories, building world changing movement. Um, I think a lot of those kind of, uh, a dreamer or founder stories for me are a great source of inspiration and I like to read a lot of books about some of the more impactful. I’m sort of dreamers of the past. Um, you know, the books on Jeff Bezos, I just finished Warren Buffet. I’m there. They’re always inspiring for me. Um, if anyone has any recommendations, again, feel free. I would love to hear about any recommendations about biographies that has been particularly impactful on you. Sean Tierney – 00:54:05 – I just read that one and that was just mind blowing. Like what that single guy has done is pretty incredible. Greg Caplan – 00:54:12 – It’s wild. That was a great one. Yeah, I agree with that. Sean Tierney – 00:54:15 – Yeah. Cool. Okay, well, I’ll link all those in the show notes for the people listening. What about any. Gosh, and this is probably gonna be a silly question for you because you’ve traveled so much, but do you have any travel hacks or any, any things that you recommend in terms of tips or ways to save time, money, etc? Greg Caplan – 00:54:31 – I think that is super important when you are traveling somewhere that there’s some level of familiarity and the way that I build familiarity, whenever I arrive somewhere I go to a convenience store and I buy two bottles of red wine and a dozen eggs and for me that’s such a great way to sort of have some stability in my life because I spent so much time in different countries and everyone has ever has red wine. Um, so at night I could have a glass or two of red wine and when I wake up I can make a couple eggs for breakfast and then I have whenever I need to be feeling comfortable and sustainable and familiar. Um, which sort of helps sort of move through the noise of indifference of different places and, and build that sort of continuity for me. Greg Caplan – 00:55:37 – totally rituals are such a cool thing in general. I think they’re so powerful. Sean Tierney – 00:55:41 – Definitely. Um, all right. Last question. What about gear recommendations? Is there any like particular piece of gear that you love or it can recommend? Greg Caplan – 00:55:50 – I mean obviously like, you know, using good tools is great, but I think for me the one piece of gear that is super reliable, I have like 10 black T-shirts and that’s just what I wear every single day and it makes it easy. They’re super diverse. Like you could go to a bar or a restaurant and a black T-shirt. You could wake up and go work out in one for me, that just makes a packing super easy and laundry super easy and decisions in the morning. Super easy. I don’t know if that works for other people, but for me just black T-shirts is great. Sean Tierney – 00:56:25 – Trevor has not that many. Trevor has one pair of pants and I think three pairs of underwear, June and he makes it work. Greg Caplan – 00:56:34 – He does make it work. He’s a wild man. Sean Tierney – 00:56:36 – Trevor’s awesome. Um, all right, well, so for the people listening, if they want to do this, what is it actually a couple of things. So employment wise you guys are hiring like how do people, if they want to come work for you guys, how do they that? Greg Caplan – 00:56:48 – Sure. We have all of our jobs listed on our website. Um, so if you want to work for us, please go check that out. We are hiring for various different roles right now and will continue to do so. Um, so just check out what’s going on there. And uh, you know, also feel free to reach out if you’re interested in, in joining remote year or working on remote year. Feel free to email me directly, I’m just grab that remote year. Sean Tierney – 00:57:10 – awesome. And then for the perspective of people who might want to try this, uh, there’s an application for them on there as well, right? They can just go to the website and. Greg Caplan – 00:57:17 – Sure. Or if people are interested, they can just feel free to email me directly to greg@remoteyear.com. I’m checking email all day and I’ll connect you to the right folks internally to help you out. Greg Caplan – 00:57:38 – you know, my life has been changed with this kind of experience and I hope that many others have as well. If you’re considering it, just reach out and we’ll have folks on our team who can walk you through the process to help you decide if it’s the right fit for you. Awesome. Sean Tierney – 00:57:54 – All right, great. Thank you so much for taking the time. I know you’re a busy guy, so I appreciate it. Greg Caplan – 00:57:58 – Thank you, Sean. Has been great. Talk to you soon. Sean Tierney – 00:58:00 – Take care. Okay. That was my conversation with Greg Caplan of remote year. If you have a question for Greg, you can leave a written comment underneath this episode, or you can also record a video comment using your webcam. So if you’re considering doing a travel program like remote year, you can save up to $300 off select programs simply by applying the discounts page. You’ll find that link in the footer of our website under program discounts, or simply go to nomadpodcast.com/discounts. Know that if you do apply directly to the program, it doesn’t invalidate your opportunity to get the discount, so make sure that you apply via the form on our site. Nomad podcast is supported in part by nomad prep online academy for aspiring digital nomads taught by yours truly that teaches you everything you need to know to make the transition to the lifestyle of a digital nomad. You get the first four days of this two week program completely free by going to nomadprep.com/podcasts,. Nomad prep to your job on the road and take on the world. Sean Tierney – 00:59:01 – So we’re going to try something a little bit different for our 10th episode. I can’t believe we’re hitting double digits, but we’re going to do what’s called an Ama. Ask me anything. So I’m going to invite all nine of our previous guests back and we’re gonna try to have everyone on at the same time and I’m going to take questions that you guys submit via Twitter, via Facebook via comments on each episode if you happen to be in the remote year nation Slack. We’ll be taking questions there as well. But I’m going to compile all these questions and hopefully we’re gonna be able to do a live session with all the previous guests where we answer these questions. So that’s what we’re attempting next. Uh, no guarantees that this is actually gonna happen, but that’s what I’m trying to pull together now. Um, and so that’s what’s coming up. If you’ve enjoyed the content. And thus far, the greatest compliment you can give is to refer this to a friend. So consider sharing it on your social media of choice, whether it’s a tweet or Facebook. Share an Instagram story, whatever you can do to help spread the word is much appreciated. I’m also. Sean Tierney – 01:00:01 – Anything you can do in the way of a review or rating really helps drive a listenership. So pick your favorite podcasting platform of choice and just hop on there and leave a quick review or just a quick star rating and that would be much appreciated. Lastly, if you’re a blogger, we now have a platform where you can apply to and get your content syndicated. 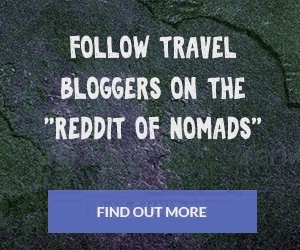 To reach a larger audience, simply go to nomadbloggers.com and click the blue submit link in the header to add yourself. Okay? As always, thank you for listening. Thank you for your support of this initiative. Um, until next time it’s a big world out there. Get out and explore it and I’ll see you on the road. Speaker 1 – 01:00:40 – Nomad, nomad, nomad podcast.